What is creative art journaling? It can be anything you want it to be! 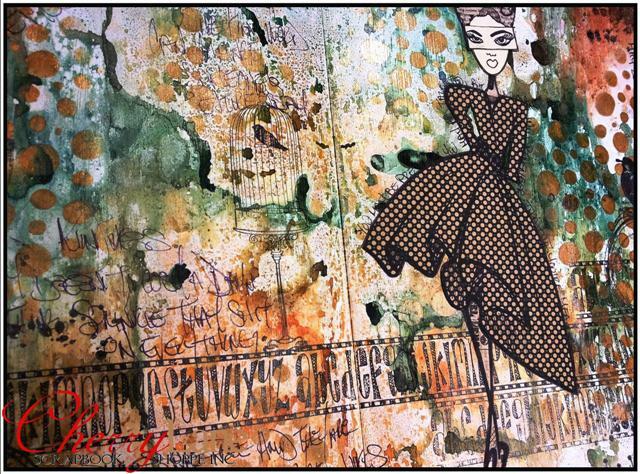 There are no rules... join us in part ten of this creative journey of YOU where we will be playing with different mediums, creating backgrounds, layering, stamping, stenciling, spraying, painting, collaging and more... something different each month. Art journaling is the perfect place to explore new creative ideas and try out new techniques. Don't be scared... there is no wrong way to art journal, everyone's journal will be different... if you can doodle... or cut pictures out... or stamp... or add paint to paper... you can art journal! We hope you'll join us to try out new techniques and enjoy some much needed creative time each month. NOTE: No previous art journaling experience is needed to participate... jump in anytime!